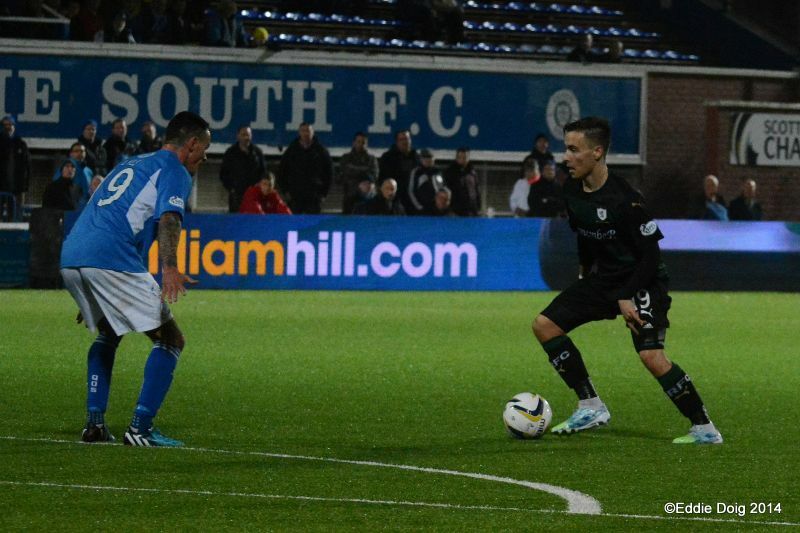 Raith Rovers failed to build on last week’s victory over Cowdenbeath, after going down to a 2-0 defeat to Queen of the South at Palmerston Park. Grant Murray made one change from the starting eleven that began last week’s 2-1 win, with a fit again Christian Nadé, taking the place of Martin Scott, who dropped to the bench. 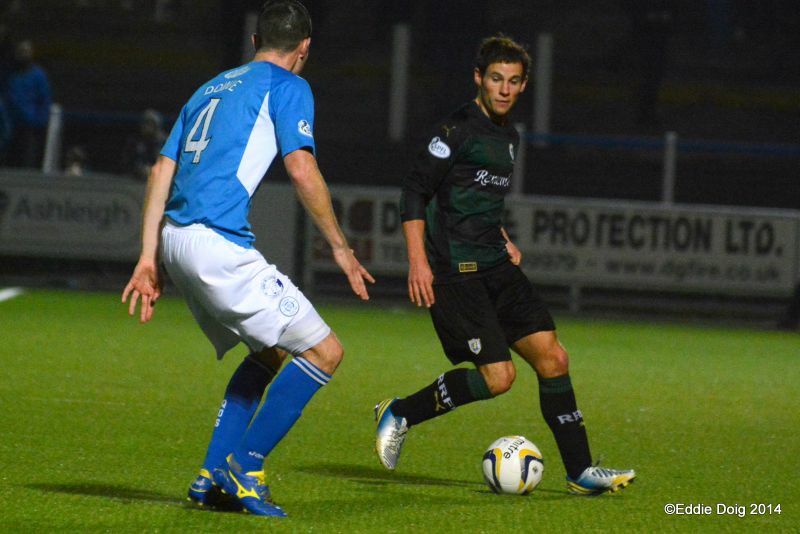 Ominously from a Raith Rovers point of view, John Baird started up front for the hosts, with the former Stark’s Park favourite paired up-top with Gavin Reilly. 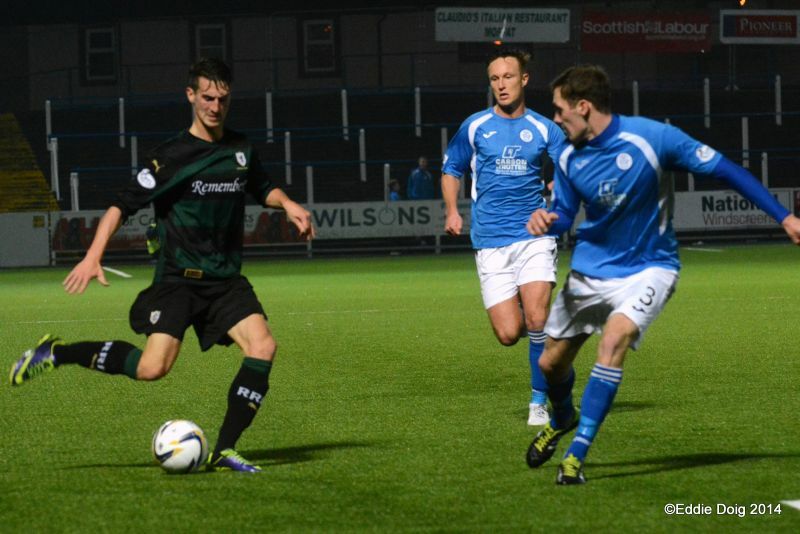 This game was presumably picked by BBC Alba as their featured Saturday evening match, because of the thrilling conclusion to the previous meeting between the clubs last month, and Queens start to this one, suggested they were extremely keen on providing further entertainment. Raith were on the back foot right from the off, when Paul Watson was penalised by referee Stepehen Finnie for obstruction in the second minute. From the set-piece, Ian McShane rolled the ball into the area for Daniel Carmichael, but his shot was blocked on the line by Rory McKeown. Before the ball could be cleared properly, McShane attempted to curl an effort inside the far post, but saw his effort tipped away by David McGurn. 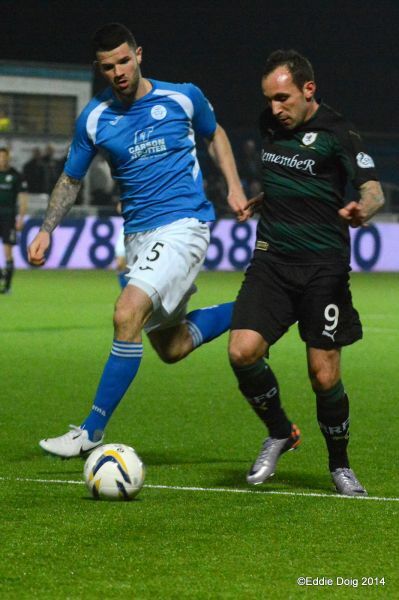 Queen of the South had certainly started the match in the ascendency, with Carmichael looking sharp down the right-hand-side, while Iain Russell was keeping a close eye on Grant Anderson down the opposite flank. Queens may have had the upper hand, but while they looked sprightly going forward, they weren’t creating too many clear-cut opportunities. In comparison, Raith’s slow build up play was allowing Queens to keep men behind the ball, and while the wide men of Anderson and Barrie McKay were a useful outlet, they were struggling to provide crosses into the area. 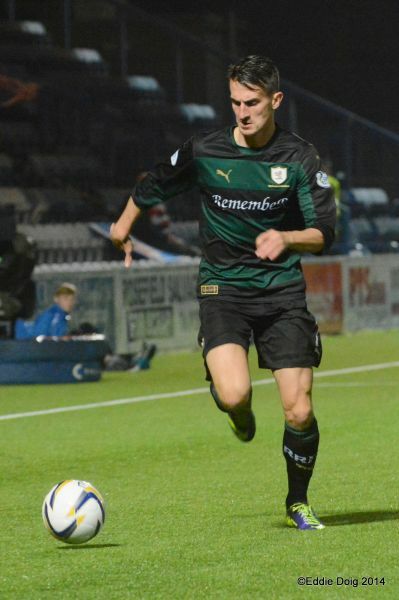 Raith’s first attempt at goal came in the 18th minute, when Nadé fed the ball to McKay, and while the on-loan winger was able to skip past one challenge, his shot from distance, failed to test Zander Clark. 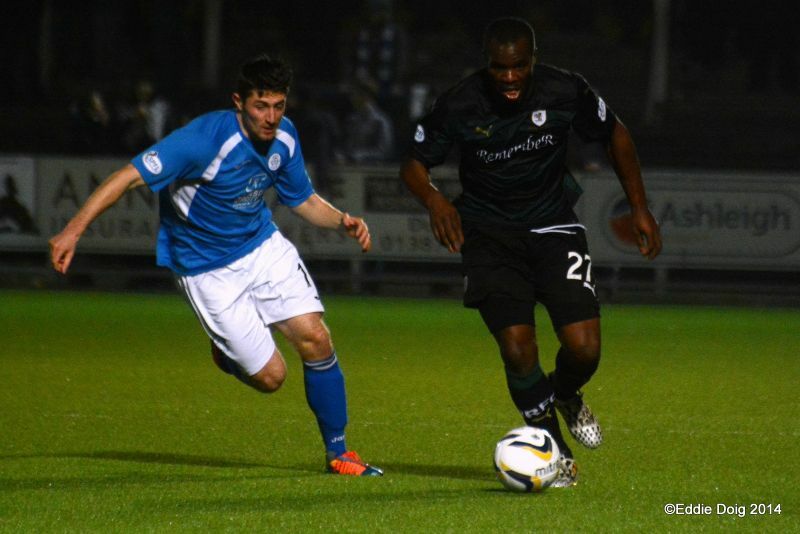 A moment later, Rovers found themselves a goal down, after something of a defensive pallaver. 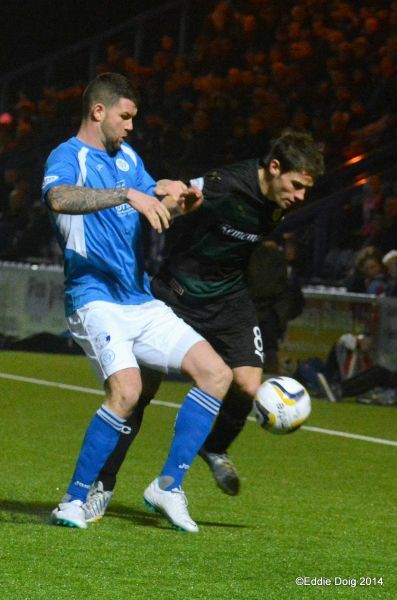 Clark’s clearance downfield was misjudged by Paul Watson, allowing John Baird to head the ball off the Raith defender’s back, and into the forward’s path. 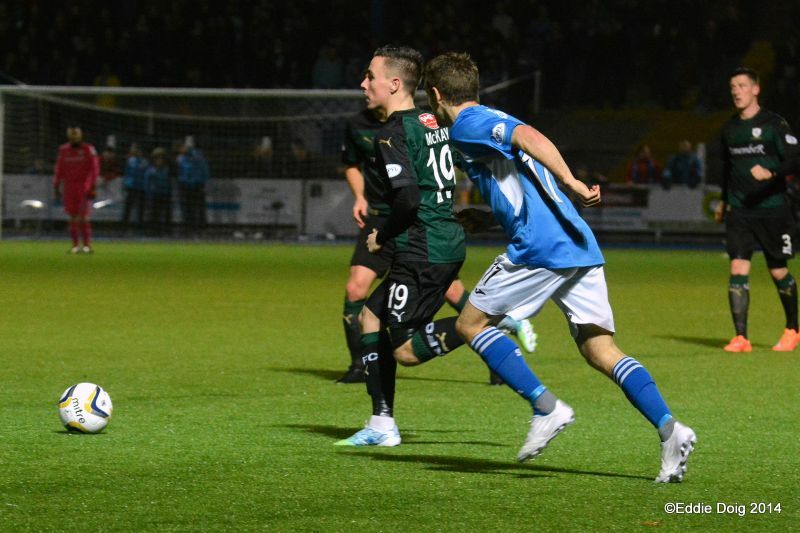 As Baird ran towards goal, Ross Perry backed off, allowing Baird to look up, and send his shot into the corner of the net, beyond McGurn, from 20-yards out. 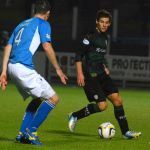 The goal failed to produce too much of a reaction from the Raith players, and they were almost two goals down ten minutes later. 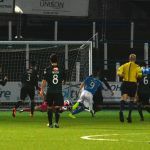 Watson was both reprimanded and booked for clattering into Baird, and from the resulting free-kick, Chris Higgins met the cross full-pelt on the volley from inside the area, but his effort crashed wide. 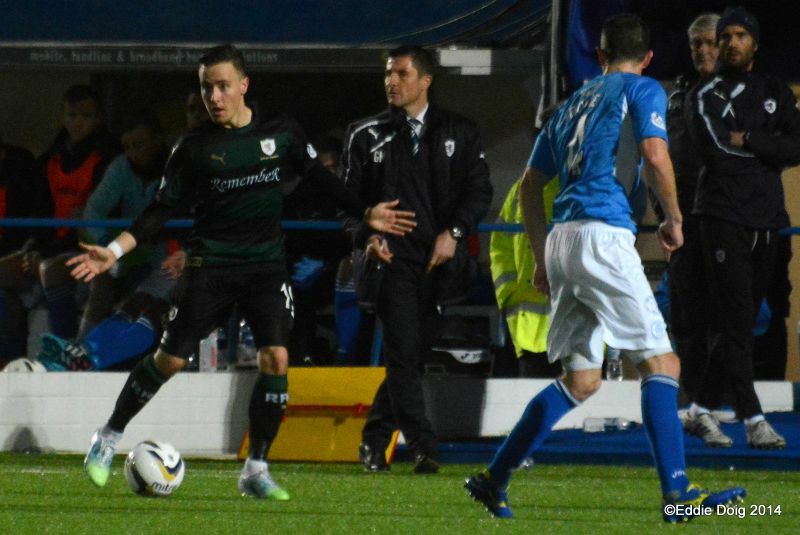 Barrie McKay had Raith’s only other real attempt at goal before half-time, in a period that had seen the home side break at speed between Raith’s lines, while Rovers worryingly struggled to create anything of note. Although there were no changes during the interval, Grant Murray was forced into making one within moments of the restart, when Elliot hobbled off to be replaced by Mark Stewart. Within seconds of his introduction, Rovers almost found themselves two down. 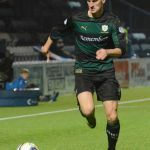 A free-kick was swung in from Raith’s left-hand-side, and as the ball made its way through the six-yard-box, Mark Durnan somehow managed to toe-poke his effort over the bar from a few yards out. The second half was proving to be similar to the first, with neither team producing a hat-full of chances, but the home side looking the most assured. Much like the last encounter however, with half-an-hour remaining, the game sparked into life. Good work again from Carmichael, saw him race towards the bye-line and send in a cross, that Jason Thomson just managed to divert clear, under close scrutiny from Baird. From McShane’s corner, Durnan again had the opportunity to double Queen’s lead, but from close range once more, he mis-timed his header into the synthetic turf and over the bar. James Fowler’s men almost had reason to rue that miss, as within a minute, Mark Stewart was presented with Rovers first real opportunity. 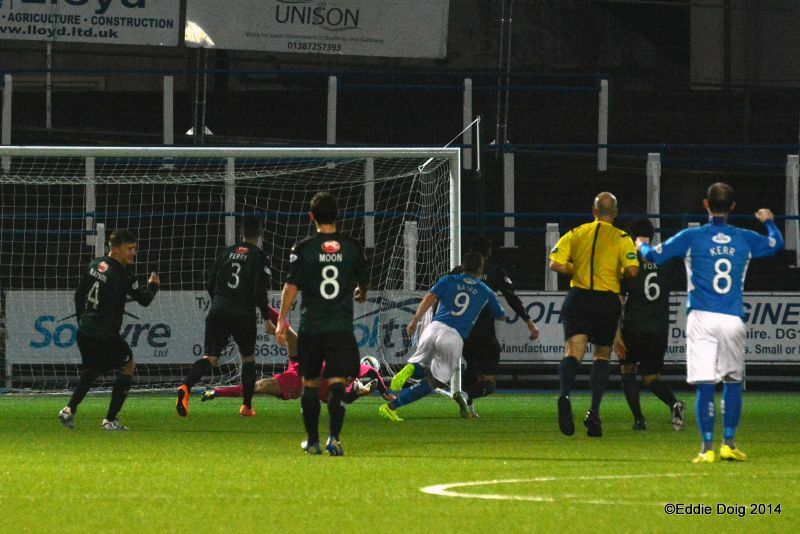 McKay played a through ball past Durnan, allowing Stewart to make use of his pace, but with just Clark to beat, he possibly took the ball too far wide, and his shot smacked off the post and clear. Raith were at last starting to make headway towards the Queens goal, with Stewart finding space on the left, and Anderson running at pace on the right. Frustratingly however, those ahead, and behind them, were generally static, and the Queens backline were having little problem marking their men, and preventing Raith from playing it through them. 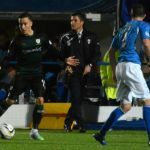 While the home side’s resolute defending was keeping Raith’s attempts to the bare minimum, the same could not be said at the other end. 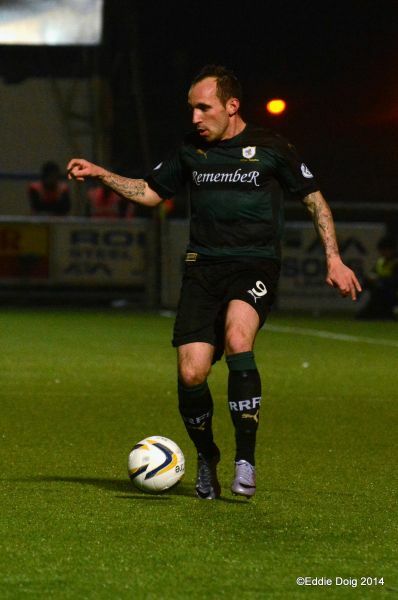 Derek Lyle was brought on as a replacement for Baird with 20 minutes remaining, and just like at Stark’s Park, he almost scored immediately, but his free header was straight into McGurn’s arms. Rovers were beginning to look bereft of ideas at this point, and with just under quarter-of-an-hour to go, they had McGurn to thank for keeping them in the match. Gavin Reilly was played through into the box, and his shot was palmed away by the goalkeeper, who got down low to his right. His second save was even better however, springing back up and spreading himself, to deny Iain Russell who was following in the rebound. 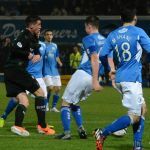 The save only delayed the clinching strike however, and when it arrived, it left McGurn fuming, and understandably so. Grant Anderson was left two-on-one as Derek Lyle took a throw in, and was helpless to stop Lyle receiving the ball back, and hitting the line. His low cross was good, but it produced no reaction from the Raith defenders, who could only look on, as Gavin Reilly waltzed between both centre-halves unimpeded, to send a shot from close range, in off the bar. 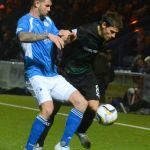 Grant Murray made two late changes, with Ryan Conroy and Martin Scott, replacing Liam Fox and Grant Anderson, but with ten minutes remaining, the game petered out, as Queens ran out the match convincing winners. 25 minutes to kick off and the teams warm up in a light rain shower. Congratulations to the Raith supporters who have journey down for tonight's game. There is a delay admitting fans to the main stand due to a supporter receiving medical attention. Rovers kick off the left of the main stand. Higgins and McShane with early attempts on goal, the latter being palmed behind by McGurn. McKay's sees his free kick to Fox go to waste as his shot is sclaffed wide of goal. 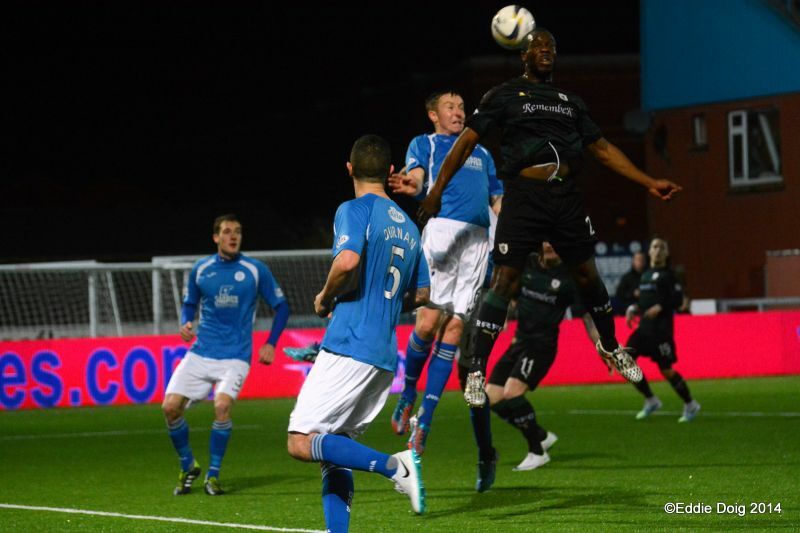 No takers for a Queens free kick, the ball sailed over the wall and into the arms of McGurn. Reilley gets behind his defender and shoots straight to McGurn. Nade beats his man but lets the ball run out for a bye. Anderson delivers a long ball into the box, just too long for Elliot to connect. Fox not having the best of nights accuracy wise. McKeown slips has he tries to deliver a cross from the corner. Fox and Anderson combining well and win a corner. Carmichael in plenty space sees his shot blocked outside the area. Baird, 25 yards out picks his spot and volleys the ball past McGurn and into the right of goal. Goal Queens. Nade yellow for what looked like dissent. Queens keeping up the pressure. Elliot impedes the keeper in a very crushed box from a corner. Kerr yellow for fouling McKeown. Watson yellow for a foul on Baird. From the free kick Higgins fires the ball over the bar. 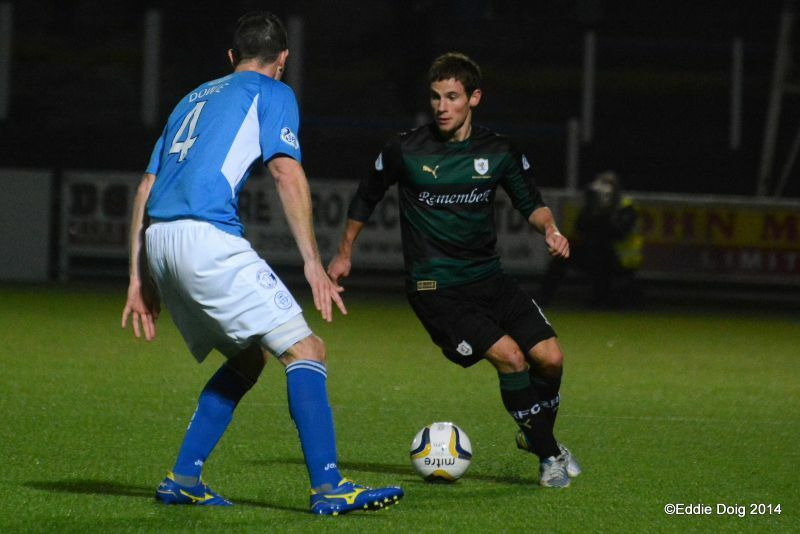 Reilly drifts through the defence only to shoot straight at McGurn. 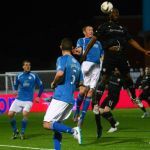 McKay plays a one two with Nade and shoots direct to the arms of Clark. Fox crosses int McKay his fine effort is blocked for a corner. Queens have been the stronger and more inventive of the sides based on the first half, an upturn in fortunes is required for the second. No substitutions at half time. Watson slips in the box and almost gifts the ball to Baird. A traing ground set peice comes to nothing as McKay drills the ball int the wall. Queens with a wonderful passing display see the move end with Russell firing the ball wide. Russell with a header but is ruled offside. 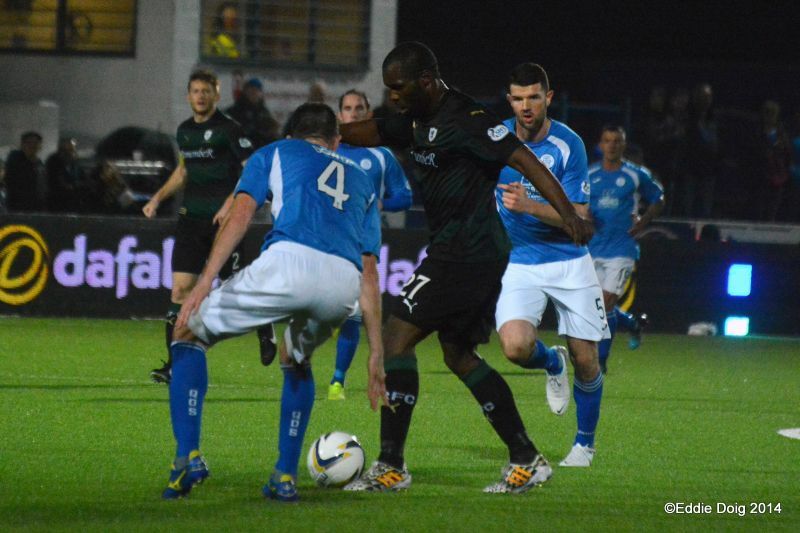 Nade showing some dribbling skills and releases Stewart whose turn it is to be offside. Carmichael diong all the running slid the ball into Baird but is denied by the quick thinking McGurn. From the corner Durnan laboured a header over the bar. 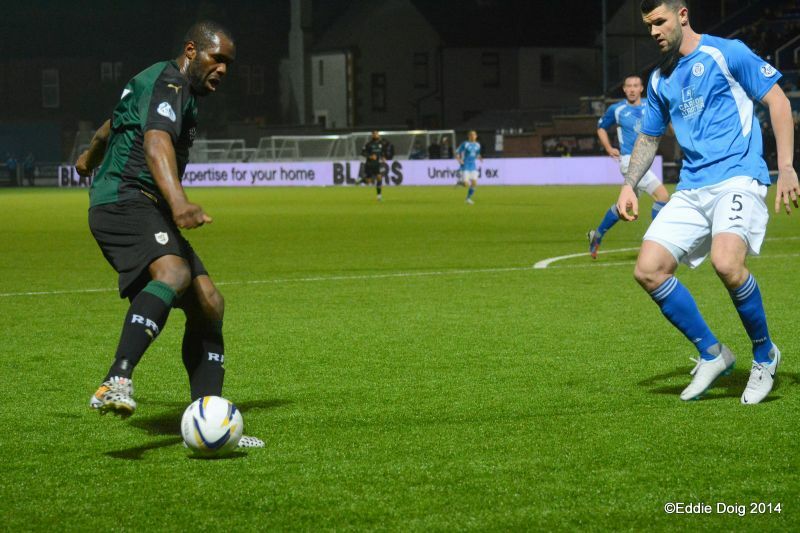 The ball is quickly up the park and Anderson shoots just over the bar. MrFinnie scolds Thomson for a 50/50 challenge? Russell, who looked offside passed to Baird who sidefooted his shot wide of target. Lyle, just on thought it was Christmas getting a free header but is ruled offside. Nearly into the last 15 minutes Raith are pressing but no final ball. McGurn with a wonder double save first from Reilly the Russell with the follow up. Reilly unmarked from a corner glieds in and rattles the ball off the underside of the bar. Goal Queens. Lyle slides in on a strong pass but can only push the ball wide. Fox and Anderson off, Scott and Conroy on. Carmichael off, Kidd on. Nade at the back post shakes the side net. Minimum 2 minutes added time. Clark, Dowie, Higgins, Durnan, Holt, McShane, Russell, Kerr, Carmichael, Reilly, Baird. Subs, Atkinson, Dzierzawski, Hooper, Kiltie, Kidd, Lyle, Pickard. McGurn, Thomson, Perry, Watson, Fox, Anderson, Moon, Elliot, McKay, McKeown, Nade. Subs, Laidlaw, Hill, Stewart, Scott, Callachan, Conroy, Vaughan.